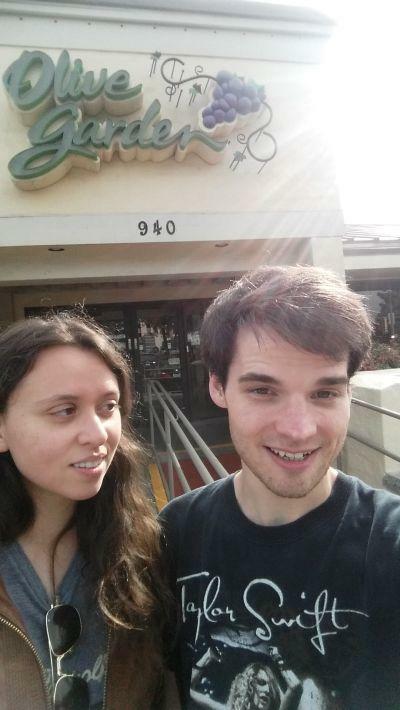 Feelings about the Olive Garden -- "I'm shocked that I like this so much." High Roller -- Sat down and immediately ordered herself a coke zero and an eight-dollar "Sangarita". "When you write the blog entry for me," says Ashley, putting down her Sangarita™, "you have to make it clear that I'm gay." I nod slowly. "I think I can do that." She seems unconvinced. "I'm serious. I don't want anyone thinking I'm one of your...pasta floozies." Ashley is a computer programmer who lives deep within the dense forests of NorCal. Her biting wit can make her a little intimidating, but beneath that is an intelligent, extremely funny woman. 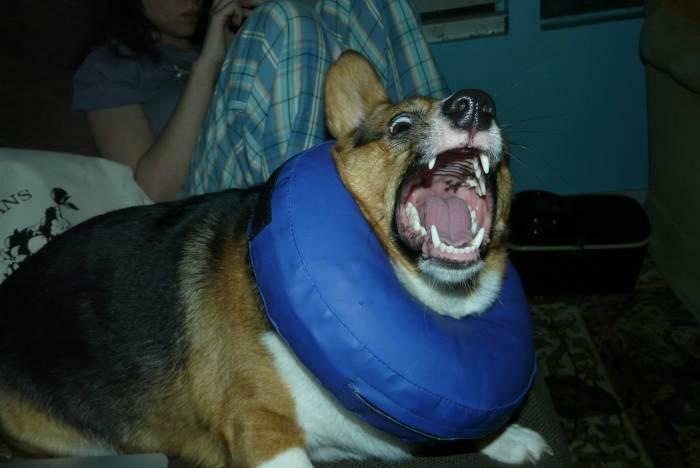 As the second of her two requirements for being on the blog, please enjoy this photograph of Ashley's treasured corgi, Scout. 21 more dates to go.